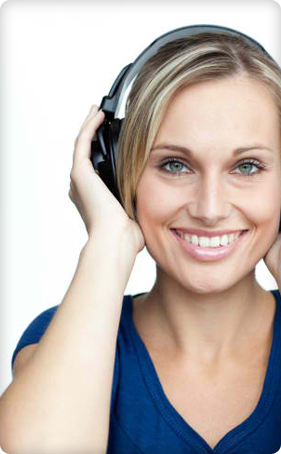 An audiologist is a professional who diagnoses and treats hearing and balance problems. Our Audiologist all hold a Doctoral degree in Audiology (the Au.D.) and bring over 20 years combined experience to our practice. Audiologists are trained to diagnose, manage and treat hearing or balance problems for individuals from birth through adulthood.It is the commitment of our Audiologists to find the best solution to your condition. In our office you will find kind and compassionate professionals who have your best interests in mind and will go that extra mile to ensure that your experiences with us are positive ones. Do you find it difficult to follow a conversation in a crowded room or restaurant? Do you frequently ask people, especially women or children, to speak up or repeat themselves? Do you find it difficult to hear when speaking on the phone? Do you turn the volume of the TV up louder than others need? Do you find it necessary to sit up front in church or an auditorium to hear? If any of the above was answered “yes”, then you may have a hearing loss. Make your appointment to see one of our Doctors of Audiology today! Hearing loss is a health care problem. It can happen at any age, not necessarily “old age”. There are numerous possible causes of hearing loss; however, treatment for permanent hearing loss is typically through the use of Hearing Aids. Loss of hearing removes our connection to those around us and isolates us. Hearing gives us safety and security, communication with our world and improved quality of life. From the moment we are born (and even before) the world comes to us through sound. Hearing loss impacts our lives negatively by causing withdrawal from social settings, stress due to the added strain of having to struggle to hear sometimes even basic conversation, and overall decreased satisfaction of life. The outside part of the ear – which is the part that you can see – is called the pinna. The pinna collects sound waves from the air and sends it towards the membrane at the end of the ear canal called the Tympanic Membrane. The vibrations from the Tympanic Membrane continue into the middle ear where three bones (the ossicles) also vibrate. This vibration is passed along the ossicles to the Stapes (commonly called ‘stirrup’) which rests in an opening into the Cochlea, the actual organ of hearing. When the Stapes vibrates, it sets fluid within the Cochlea into motion. Within the Cochlea are thousands of microscopic hairs called cilia. These cilia move when the fluid moves and changes the physical vibrations/movement of fluid into an electrical signal transmitted to the brain via the nerve of hearing (auditory nerve). When this signal reaches the brain, our brain interprets it as a sound and we hear. Sensori-Neural Hearing Loss (SNHL) is the most common type of hearing loss. This type of hearing loss is caused by damage to the hair cells (cilia) located within the cochlea, our organ of hearing, due to a variety of causes (noise exposure, genetics, chronic disease). It cannot be surgically or medically repaired, but is typically treated very successfully by amplification. Conductive Hearing Loss (CHL) is caused when there is something in the ear, most commonly in the middle ear, preventing the transmission of sound from reaching the cochlea at normal levels. It is typically medically treatable through surgery or prescriptive medicine. Wax or foreign bodies in the ear canal as well as fluid within the middle ear space are possible causes for a conductive hearing loss. Mixed Hearing Loss (MHL) is a combination of a Sensori-Neural and Conductive hearing loss.